People in Las Vegas are still reeling from the deadliest mass shooting in United States history. At least 58 are dead and more than 400 are injured. The shooting in Las Vegas has more victims than any other single-shooter massacre. 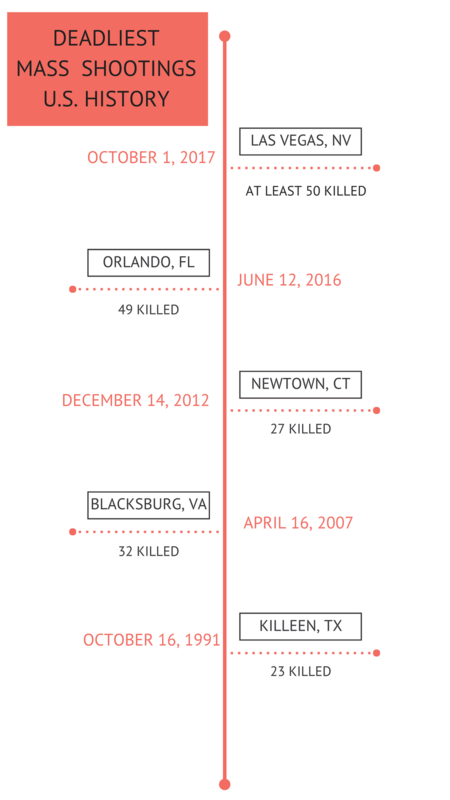 NOTE: The deadliest mass shooting until the Pulse Nightclub shooting last year. WHO: George Hennard killed 23 and injured 27. NOTE: Luby’s shooting was the deadliest mass shooting for more than 15 years.